It would be unconstitutional to impose a statewide property tax. Even if one was enacted, however, that wouldn’t solve the structural issues with the state’s school finance system. Today’s Texplainer is inspired by a question from Texas Tribune reader, Milton. Hey, Texplainer: Why can’t we create a Texas-wide property tax to fund public education? The short answer is because it’s unconstitutional and only the Legislature can begin the process of changing that, according to a spokesperson from the Texas Comptroller’s office. If they decided to go that route, it would require the approval of two-thirds of each legislative chamber — and then Texas voters. The voters are the ones who approved of abolishing the statewide property tax in the first place — 72 percent of them voted for Proposition 1 to repeal the tax in 1982. "The predisposition of Texans … was against a statewide property tax because they thought, among other things, that it would lead to an income tax eventually,” state Sen. Paul Bettencourt, R-Houston, told The Texas Tribune. Texas school districts currently collect about $22 billion in property taxes, and bringing back a statewide property tax to fund public education — without replacing other local property taxes levied by cities, counties and other entities — would come with some challenges. If Texas had a statewide property tax for schools, it would no longer need to use recapture, better known as the “Robin Hood” system, to help pay for public schools because the state would be in charge of distributing money equally across districts. Under recapture, the state takes money from school districts with more valuable property and re-distributes it to districts that have less valuable property. 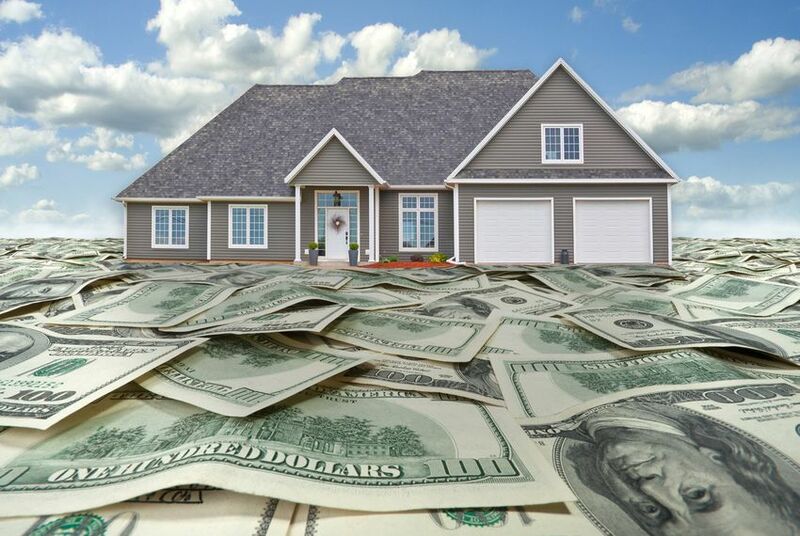 “A statewide property tax is the mother of all recapture because the state would levy a tax and bring in all the property taxes and then distribute them out through the school funding formulas,” said Sheryl Pace, a senior analyst for the Texas Taxpayers and Research Association. Lawmakers would have a lot of things to sort out to make a statewide property tax work. For starters, school districts routinely borrow against their future property tax revenue, a practice that would need to be reconfigured if property tax collections were transferred to the state. Many school districts also offer property owners an additional local homestead exemption — something that would have to be equalized and regulated at the state level if local school property taxes disappeared. However, enacting a statewide property tax wouldn’t completely undermine local control, according to Chandra Villanueva, a senior policy analyst at the Center for Public Policy Priorities. It would all depend on how the state set up its tax system, Villanueva added. For example, she said, the statewide tax could cover base-level funding for schools, but could allow an “enrichment tier” that would allow districts to impose local taxes on top of that for anything above and beyond the Texas Essential Knowledge and Skills (TEKS). That would include things like art and music, or professional development for teachers. Replacing the local tax with a statewide property tax wouldn't solve the underlying problems with the state’s school finance system, Villanueva said. That’s because replacing local taxes with a statewide tax doesn’t equal more money for schools. Essentially, the state would be be taxing the same property as local districts, so unless the state imposed a higher rate than what local taxpayers are currently paying, it would raise the same amount of money — just at the state level rather than the local level. “Some people would think that would solve the revenue side of it ... but unless they change the formulas, the inequities between school districts stay exactly the same,” Pace said. The bottom line: We can’t create a statewide property tax unless lawmakers and voters approve one. It might solve some (but not all) of the structural issues with the state’s school finance system, but it wouldn’t necessarily cut your taxes. Power Trips: Who should regulate property tax rates? Give us your take.